Distance Education is booming in India like anything. Every year new universities are coming in the filed of distance education to incash the opportunities. Increasing demand of qualified & experienced professionals has increased the demand of distance learning MBA courses in India but before you make a final decision about choosing a university for yourself, you must know the following things. Distance learning courses are being offered in India by Universities & Private Institutions. If you're considering a University to pursue your MBA degree must ensure it should be recognized by University Grant Commission (UGC), for private institutions Distance Education Council approval is required. Like all other professional programs, MBA program should be approved by AICTE. When you join a program must confirm it should be approved have the required AICTE approval. The world is changing very fast and so the business concepts & strategies. What was working best in past for businesses is not working now a days. to keep students up with the changing scenario universities should update there syllabus regularly. 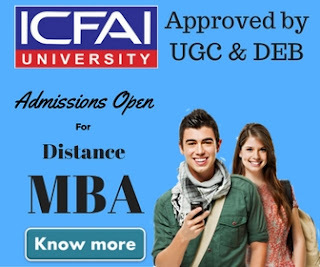 Before joining you must confirm what curriculum university has adopted for distance MBA. 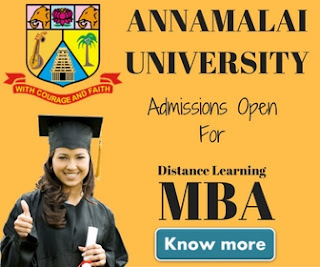 Sometimes distance learning MBA ranking also helps in choosing the right program. There're various organizations which publish these rankings every year. You should on what position the university you're planning to join ranks in India. You may also check if the university or institution you're going to join also has some past experience in providing such courses. It's better to choose a university which already running a popular full-time MBA course. This is somewhat one of the most important factor to be considered while choosing an Online MBA for you. Make sure they must have online support for course materials, assignments and project work submissions, placement support, audio visual learning aids, and learning facilities. A very robust Interactive Voice Response System is essential for successful DL learning experience. Reviews always helps you choose the best out of many. Ask students who still studying in those universities. You can also search for reviews using Google, Bing or any search engine. Make sure the university takes responsibility and is fully involved in the evaluation process. Study centers should only be responsible for providing you the classes, your examination & evaluation should be taken care by the university. People joins any professional program to get a better job. The university you're considering to join must have an active placement cell. You can also check for the previous placement record of the respective university.